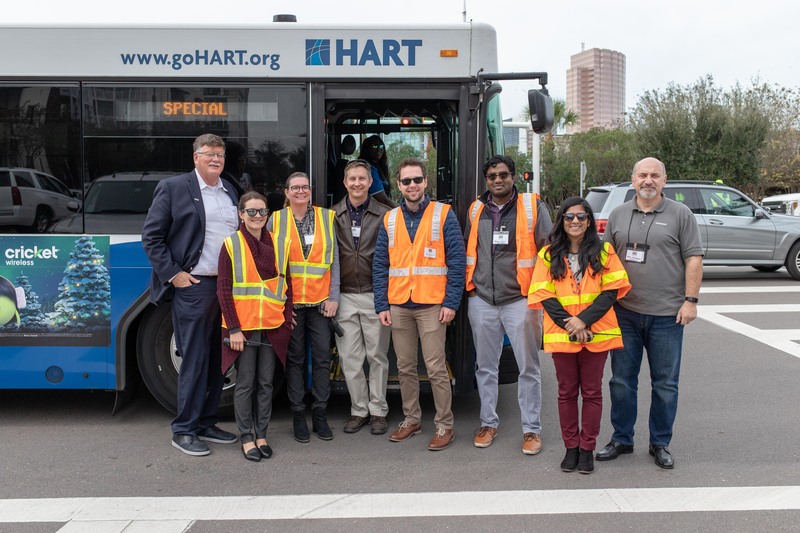 The THEA Connected Vehicle Pilot hit a major milestone last month as we conducted the first-ever demonstration of the connected vehicle safety applications on transit vehicles. 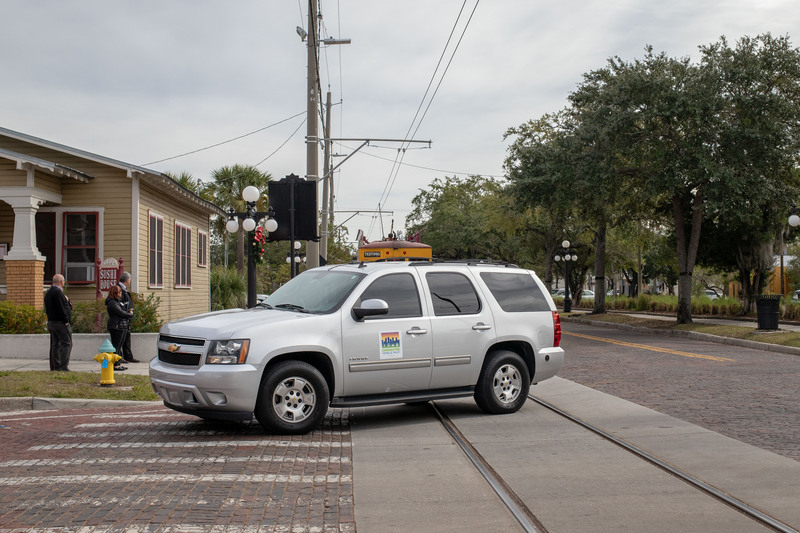 The THEA Connected Vehicle Pilot is the first deployment of connected vehicle technology on a U.S. streetcar line. This demonstration shows how the technology can help prevent crashes between equipped automobiles and streetcars. 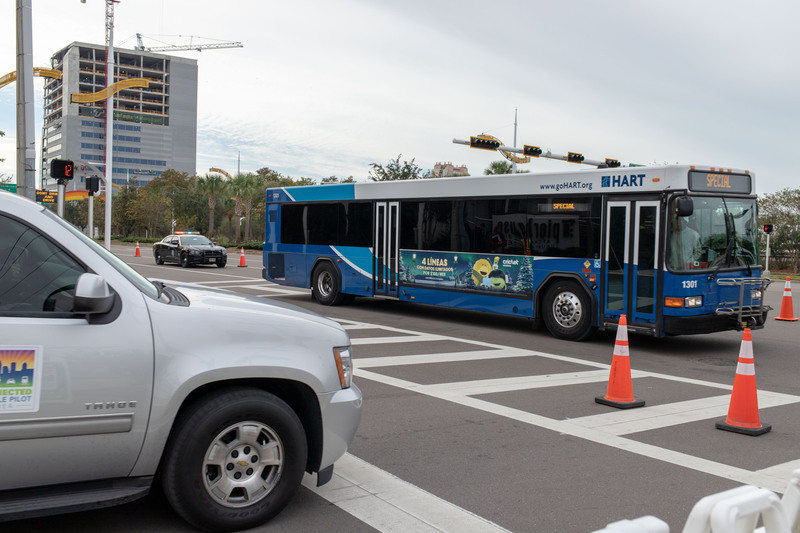 The demonstration began at The TECO Line Streetcar System’s Centennial Park Station near the intersection of 20th Street and 8th Avenue. 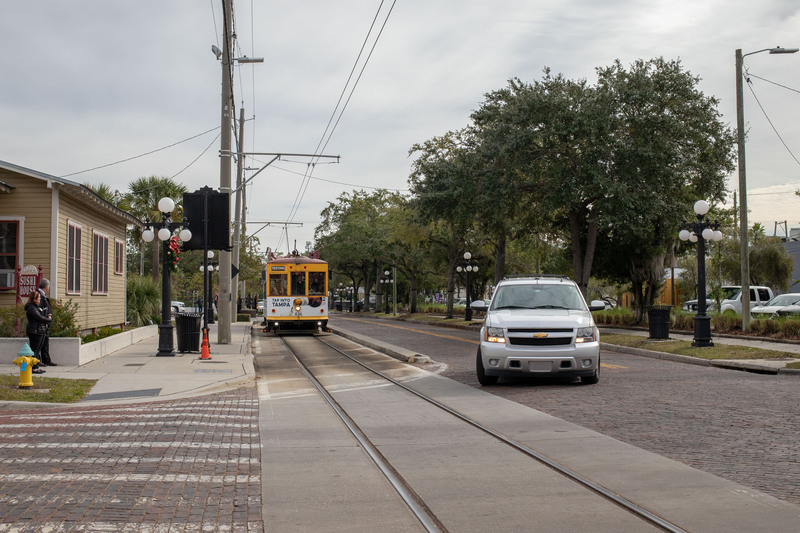 As the streetcar pulls away from the station, a car passes the streetcar on the left and initiates a right turn in front of the moving streetcar. Connected vehicle technology enables both vehicles to communicate with each other. As a result, the driver making the turn receives an audible warning and a visual alert on the rearview mirror display. The streetcar motorman also receives an audible warning and visual alert and brings the streetcar safely to a stop. The THEA Connected Vehicle Pilot enables buses and cars to alert their drivers to potentially dangerous situations. This demonstration shows how connected vehicle technology can help prevent side-impact collisions at intersections. 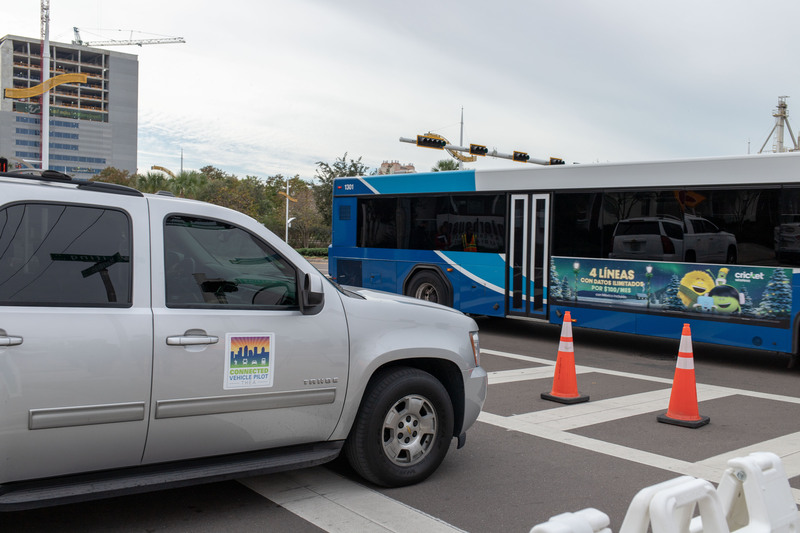 In this demonstration, a Hillsborough Area Regional Transit bus and a car approach the intersection of Meridian Avenue and Whiting Street from two different directions. Wireless communication enables both equipped vehicles to share vital information, including location, speed and heading. Based on this information, the vehicles’ onboard systems calculate that a collision is imminent. Both drivers receive an audio and visual alert so they can brake in time to avoid a crash. We also demonstrated the connected vehicle technology for pedestrian safety.